HOUSTON, TEXAS (January 23. 2011) Led by the radar shooting of Brittany Scott and Courtney Taylor, the Houston Cougars (15-4, 6-0 C-USA) increased their winning streak to seven games in defeating the Memphis Tigers (14-6, 3-3 C-USA) 81-68 at Hofheinz Pavilion in Houston. The Cougars are now 6-0 in conference play and sit alone at the top of the Conference USA standings. Scott led all Cougar players, scoring 20 points with five rebounds, while Scott added 19 with a game-high nine rebounds. Porsche Landry and Brittany Mason also helped with the scoring, chipping in 10 and nine, respectively. The game started out slowly with Houston leading 32-27 at the half. They were 12-29 in two-point range and a meager 1-5 from three-point range. For the game, Houston shot 50 percent (27-of-54) from the field, 43 percent (6-of-14) from 3-point range and 81 percent (21-of-26) from the free-throw line. The Cougars edged Memphis in the rebounding battle by a 38-36 margin, while handing out 19 assists and swatting six shots. Houston turned the ball over 23 times compared to 20 miscues for the Tigers. With the win, the Cougars have won eighth-straight contest against Memphis to improve to 11-10 all-time against the Tigers. With a 6-0 record in league play, Houston has jumped out to its best-ever start in C-USA action. Scott made her 80th-consecutive start on Sunday dating back to the beginning of the 2008-09 season. Brittany Carter led Memphis with 23 points and Jasmine Lee added 18 points in the loss. Houston returns to action at UCF on Thursday with a 6:00pm start. HOUSTON, TEXAS (January 22, 2011) Coming into tonight’s game, the Houston Cougars (11-7, 3-2 C-USA) held at an 8-10 record against UTEP Miners (16-4, 4-1 C-USA). They were hoping to cut that deficit and move to within one win of breaking even in the series. Despite the lead changing back and forth with both teams playing a rough and aggressive game, the Miners pulled out a 57-52 win over the Cougars. The game was like a toy from my youth; “Rock ‘Em' Sock “Em” Robots. One team would hit. The other team would hit. They would trade baskets. They would trade fouls. The very vocal crowd of students, alumni, and fans was definitely on the side of the Red and White, but there was here and there, a sprinkling of orange, blue, white and silver (the official UTEP school colors). Rebounding was the key and the Cougars could not find a way to get the ball after they missed a shot. They managed a mire three offensive rebounds in the game. Match that with the Miners’ 14 offensive boards and that was the deciding factor in the game. The was obvious to everyone watching the game and Houston head coach James Dickey reinforced that fact in the post game press conference. Both teams were almost even in defensive boards (UH-28, UTEP-29), but the points off of second-chance shots could (and should) have made the difference for the Cougars. Adam Brown led the Cougars with 22 points followed by Kirk Van Slyke with 12. No one got into the double digits in rebounds, with Van Slyke leading with seven. On the Miners’ side of the court, Randy Culpepper led with 18 points while Jeremy Williams chipped in 15. Julyan Stone led the game with 14 rebounds, 13 of them on defense. The game was a test for the Cougars, who will next travel across town to face Rice on January 26. The results of that test is that they need to step up on the offensive end of the court. They need to raise their free throw percentage, get more offensive boards, and second chance points. If they fail to accomplish these goals, their season is going to come to a screeching stop before their potential is realized. HOUSTON, TEXAS (January 16, 2011) It has been reported in various news sources that the 2010 Houston Astros first round draft pick, Delino DeShields, was arrested in Athens, Georgia early Sunday morning and charged with driving under the influence, underage possession of alcohol, and an unspecified traffic violation. DeShields, who was the eighth overall pick in the 2010 draft, was given a $2.15 million signing bonus when he signed with the Astros. The signing bonus was a record for the Astros. DeShields spent about two hours in jail before posting a $2500 bond. He signed with the Astros on August 5 and played 16 games for their rookie level affiliate, the Greeneville Astros; hitting .313 along with six doubles, five stolen bases and 18 strikeouts. He was expected to start for the Lexington Legends, the Astros’ Class A affiliate. DeShields attended Woodward Academy in College Park, Georgia during high school. He is the son of Delino DeShields, who spends 13 years in the majors, playing for the Montreal Expos, Los Angeles Dodgers, St Louis Cardinals, Baltimore Orioles, and the Chicago Cubs. The Astros have declined comment, stating the situation is a police matter. HOUSTON, TEXAS (January 16, 2011) The Grand Rapids Griffins battled back from a 2-0 deficit to take a 3-2 shootout win, but earning a point in extra time was enough to launch the Houston Aeros into sole possession of third place in the AHL’s West Division race. Robbie Earl and Patrick O’Sullivan scored for the Aeros in the Sunday afternoon matchup before 5,486 at Toyota Center. Thanks to a 5-2 San Antonio loss at Chicago, the Aeros inched a point ahead of the Rampage in the West Division standings. Houston, which has won four of five overall and five of their last six at home, now sits two points behind the first-place Milwaukee Admirals. The shootout mirrored regulation for the Aeros. Up 2-0 on goals by O’Sullivan and Casey Wellman, the Griffins mustered three unanswered tallies to steal the extra point. Jamie Johnson, Jamie Tardif and Chris Minard provided the offense in extra time for Grand Rapids. The Aeros opened up a 2-0 lead within a span of 1:55 in the first period. Earl put Houston up 1-0 with his team-leading 12th goal of the season, beating Griffins goalie Adam Pearce with a wrist shot for an unassisted tally at 7:05. O’Sullivan followed up at 9:00 for his second goal in as many games with the Aeros this season. Tardif cut the lead in half for the Griffins at 15:41 to pull into a tie for his club’s goal-scoring lead. After Grand Rapids successfully killed off a five minute major penalty in the early stages of the third, Derek Meech tied the game at 9:42. Matt Hackett took the shootout loss for Houston with a 35-save performance. HOUSTON, TEXAS (January 15, 2011) The University of Houston and the NCAA have announced that Cougar quarterback Case Keenum has been granted a sixth year of eligibility. Houston filed the appeal at season end for the sixth year of eligibility after Keenum suffered a season-ending torn ACL on Sept. 18 in a game vs. UCLA. Keenum also suffered a shoulder injury during his senior season in high school, which prohibited him from participating in competition as a true freshman. Prior to the injury, Keenun was in the race to break NCAA career records for total offense, passing yards, touchdowns, pass attempts and completions. After two-plus games played in 2010, Keenum wrapped up the season with 14,448 career yards of total offense (7th), 13,586 passing yards (5th), 107 touchdown passes (8th), 1,626 pass attempts (10th), 1,118 pass completions (7th). In a quote released via press release by the University of Houston, Director of Athletics Mack Rhoades stated "We are extremely happy for Case and his family. He is an exceptional person and his dedication to the University of Houston has been evident through this process. I want to thank the NCAA and Conference USA for their assistance in our appeal. There are so many people within the athletic department that worked tirelessly to make this successful, primarily our Assistant Director of Athletics for Compliance Kevin Klotz. Without all these people, our efforts wouldn't have had such an exciting result." Keenum passed for 274 yards and recorded 22 pass attempts vs. Texas State and with both he became the Houston career record holder in each, passing Kevin Kolb who played from 2003-2006, who currently played for the Philadelphia Eagles. Keenum is the school record holder in passing yards, total offense, passing touchdowns, attempts and completions. Keenum also holds Houston's single-season records for completions, attempts, passing yards and total offense. He finished eighth in the 2009 Heisman trophy voting, and led the nation in passing offense and total offense in 2009 and ranked No. 1 in total offense and second in passing in 2008. He led Houston to a No. 1 ranking in the NCAA in passing offense, total offense and scoring offense in 2009. In addition, Keenum passed for 5,671 yards in 2009, the third-highest passing total in NCAA Division I-FBS single-season history and joined Texas Tech's Graham Harrell as one of only two players to pass for 5,000 yards in two seasons. He has 25 300-yard passing performances in his career and has led Houston to 14 career come-from-behind victories. FRISCO, TEXAS (January 3, 2011) Sam Houston State forward Gilberto Clavell has been named the Southland Conference men’s basketball player of the week, the league office announced Monday. Clavell averaged 16.3 points and 5.3 rebounds in the Bearkats’ three games last week. He scored 24 points against Air Force in the Don Haskins Sun Bowl Classic and added 21 at UTEP on Sunday. The senior from Mayaguez, Puerto Rico (Florida Air Academy), connected on 53.3 percent of his shots (16-of-30) and sank 17-of-23 free throws (73.9 percent) in the three games, which also included a win over Western New Mexico. This is the second time this season Clavell has been named the conference player of the week. He was previously honored Nov. 29 after he scored a season-high 29 points in an upset at Colorado State. In 12 games, Clavell is second in the Southland in scoring, averaging 18.9 points to go along with 7.3 rebounds. Honorable mention this week goes to Stephen F. Austin guard Denzel Barnes, Central Arkansas guard Imad Qahwash, Southeastern Louisiana guard Brandon Fortenberry and Texas State forward Cameron Johnson. To receive honorable mention, a player must receive votes from 25 percent of the Southland men’s basketball sports information directors. Each school’s SID nominates and votes for the players of the week, though is not permitted to vote for his or her own player. HOUSTON, TEXAS (Janaury 1, 2011) Houston Aeros General Manager Jim Mill today announced the American Hockey League (AHL) club has signed right wing Jed Ortmeyer to a professional tryout (PTO) contract. Ortmeyer, 32, is in his eighth professional season and was most recently a member of the San Antonio Rampage. In 20 games with the Rampage this season, he notched three points (2-1-3) and 16 penalty minutes (PIM). An Omaha, Neb., native, Ortmeyer has appeared in 306 National Hockey League (NHL) games. 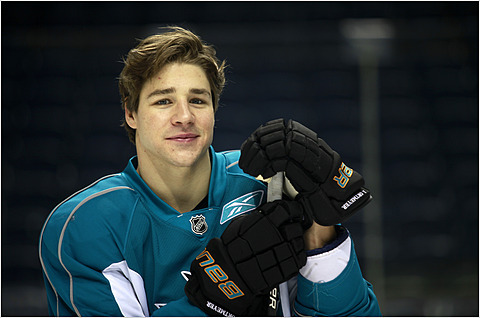 Last season he played in 76 games with the San Jose Sharks (NHL) and collected 19 points (8-11-19) and 37 PIM. His NHL totals include 51 points (21-30-51) and 145 PIM in games with the New York Rangers, Nashville Predators and San Jose. The 6-foot-1, 205-pounder has appeared in 463 pro games and has registered 118 points and 285 PIM. Ortmeyer attended the University of Michigan (CCHA) and skated in 145 career games with the Wolverines, collecting 117 points (51-66-117) over the course of four seasons (1999-2003). DALLAS, TEXAS (January 1, 2011) On New Year’s Day two years ago, former Texas Tech head coach Mike Leach was preparing to lead the Red Raiders in the Cotton Bowl against Mississippi State. Tech dropped a close game to Bulldogs 47-34. This time last year, former interim Texas Tech head coach Ruffin McNeill had just come off leading the Red Raiders to a 41-31 win over Michigan State in the Alamo Bowl in San Antonio. This year, Texas Tech head coach Tommy Tuberville will lead the Red Raiders (7-5 overall, 3-5, Big 12) into their 11th straight bowl appearance in 11 years, facing the Northwestern Wildcats (7-5 overall, 3-5, Big Ten) in the historical Cotton Bowl Stadium in Dallas. The Red Raiders have had three different head coaches at the helm of their storied football program during their past three bowl games. This year, it was Tuberville’s chance to place his mark in the annals of Red Raider football history. Texas Tech held true to form, holding off late game charges by Northwestern to win the inaugural Ticket City Bowl 45-38. The game was an offensive show, with both teams combining for a total of 927 yards. Red Raider quarterback Taylor Potts, who was selected as the game’s MVP, completed 43 of 56 passes for 369 yards and four touchdowns. He also rushed for 19 yards on two carried with one touchdown. Eric Stephens added one rushing touchdown off of 126 yards, with Lyle Leong and Austin Zouzalik combining for three receiving touchdowns. On the Northwestern side, Kain Colter rushed for 105 yards and two touchdowns while Evan Watkins completed 10 of 21 passes for 76 yards and one touchdown. Tech jumped out to an early 10-6 lead on a Matt Williams field goal and the Zolzalik touchdown in the first quarter. The Wildcats came clawing back at the 6:47 mark of the second quarter on one of Colter’s rushing touchdowns. The rushing conversion failed making the score 10-6 in favor of Tech. Potts then scored his rushing touchdown to give the Red Raiders a nine point lead. Leong then scored on a six-yard pass from Potts with 11 seconds left in the half to make the score 24-6. Northwestern head coach Pat Fitzgerald made some adjustments at halftime, and the Wildcats came roaring back in the second half scoring three times in the 3rd quarter. Stefan kicked an 18-yard field goal at the 11:25 mark, followed by a Colter one-yard touchdown run five minutes later, and a Watkins four-yard run to make the score 38-24. Northwestern continued to cut the Red Raider lead, when Demetrius Fields caught an 18-yard pass from Watkins to cut Tech’s margin to seven. Tech then increased their lead back to 14 on another reception from Potts to Leong; making the score 45-31. Northwestern scored the final point of the game when Jordan Mabin snagged a Potts pass and returned it 39 yards for a touchdown. Potts’ MVP award marked the second consecutive year he has been received the award. Last year he received the MVP award at the Alamo Bowl. With the win, the Red Raiders finish the season with an 8-5 record. The Red Raiders have won at least eight games in each of the last nine years.